Benjamin Franklin once famously remarked that “[t]hose who would give up essential liberty, to purchase a little temporary safety, deserve neither liberty nor safety.” Franklin’s words proved to be prescient. Many of the great struggles in American history have centered on the inherent tension between the security of the collective and the liberties due to each individual by virtue of God, nature, or through the operation of law. We can observe this strained relationship in real time. Whether it is the constitutionally questionable warrantless wiretapping in the wake of the September 11 terror attacks, controversial police shootings, or the current debate over the Second Amendment, the debate over liberty and security rages on. But despite these modern controversies, we can all agree that it would be patently unconstitutional for the U.S. government to imprison tens of thousands of Americans without charge based on nothing more than generalized fear and the color of the their skin. Right? Not according to Franklin Delano Roosevelt. Despite the manipulation of modern high school and college history textbooks, FDR was quite possibly the most constitutionally destructive president in American history (besides the topic of this blog post, you can, in addition to many others, see here, here, and here). Empowered by Congress in the wake of the surprise attack by Japan on the U.S. base at Pearl Harbor in 1941, Roosevelt ordered the forced removal and imprisonment of over one hundred thousand men, women, and children of Asian ancestry. Sixty two percent of these luckless souls were American citizens. Locked into barracks behind barbed wire fences, stripped of their possessions and property, and left to rot for the duration of World War II. And why did Roosevelt take this obviously unconstitutional action? For no other reason than that they were of Asian descent in the wake of a Japanese attack. Contrary to ad hoc rationalizations, there existed no actionable intelligence that any person of Asian ancestry posed any more danger to the U.S government, military, or citizenry, than you or me. But Roosevelt ordered them imprisoned without charge or due process anyway. But Fred Korematsu would not so easily be made a prisoner. Surgically modifying his face and changing his name in an attempt to avoid detection, Korematsu was eventually forced into hiding, after which he was quickly identified (as Japanese) and arrested. Korematsu felt, in line with what the Fifth Amendment requires, that “people should have a fair trial and a chance to defend their loyalty at court in a democratic way, because in this situation, people were placed in imprisonment without any fair trial.” Represented by the ACLU, Korematsu challenged his detention all the way to the Supreme Court. And did the High Court declare FDR’s obviously unconstitutional actions as such? In one of the worst Supreme Court decisions in American history, the Court held that Korematsu’s (and the tens of thousands of other Asian prisoners) rights could be constitutionally sacrificed to FDR’s executive wartime powers. Even though, as previously discussed, the Court should have been required to apply the strictest constitutional scrutiny because the internment orders were based on race, the Court refused to do so. 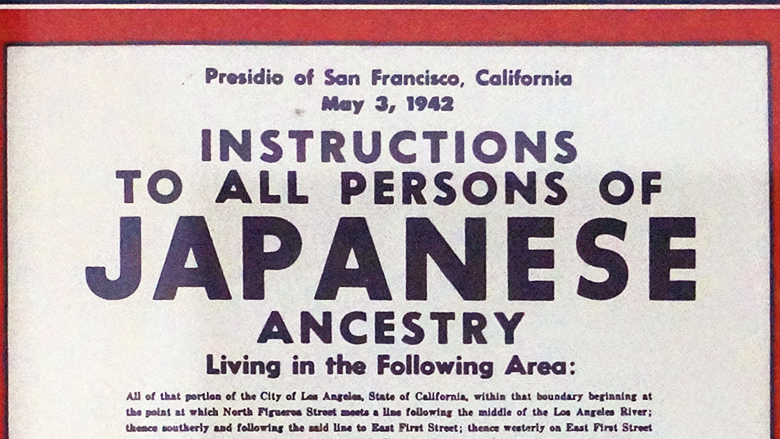 The Court even went so far as to deny that race was the motivating factor behind the orders, avoiding their constitutional duty as the primary protector of individual rights, writing: “Korematsu was not excluded from the Military Area because of hostility to him or his race. He was excluded because we are at war with the Japanese Empire…because they decided that the military urgency of the situation demanded that all citizens of Japanese ancestry be segregated from the West Coast temporarily, and, finally, because Congress, reposing its confidence in this time of war in our military leaders—as inevitably it must—determined that they should have the power to do just this.” But Congress and the President do not get to decide which powers they should or should not have. Their power flows only from what is allowed or denied them by the Constitution. No more, no less. Thomas Jefferson once wrote: “In questions of power, let no more be heard of confidence in man, but bind him down from mischief by the chains of the constitution.” Government power as reflected in Korematsu does not reflect this limited standard. Not only was Korematsu one of the worst decisions in the history of the Supreme Court (and has never been explicitly overturned), but sanctioned one of the most shameful abuses of unconstitutional power in all of American history. Thomas Jefferson also once wrote that he “would rather be exposed to the inconveniencies attending too much liberty than those attending too small a degree of it.” I agree. Contrary to the views of some in our society who would sacrifice our most essential liberties to secure some small promise of increased security, I think tolerating some insecurity may be the cost of living in a free society. Liberty, once lost, is rarely regained.